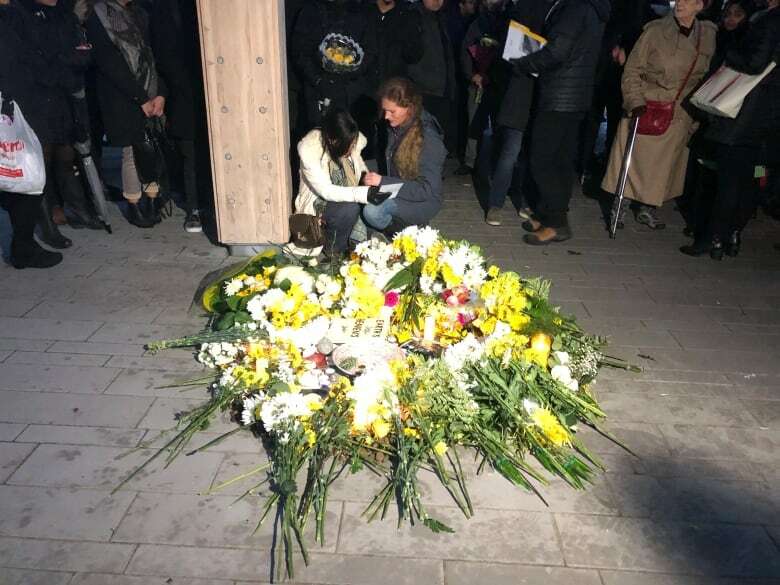 Singing and laying flowers, around 250 people gathered in Toronto on Thursday evening to remember Danielle Moore, a 24-year-old who was among the 18 Canadians killed in Sunday's Ethiopian Airlines crash. 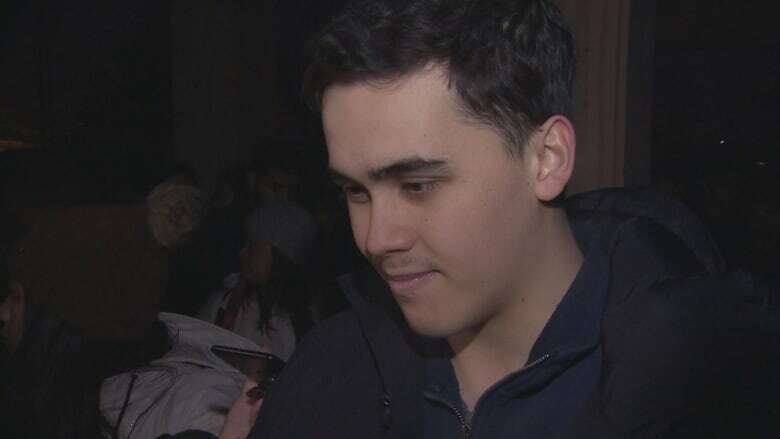 Singing, embracing and laying flowers, around 250 people gathered by the lake shore in Toronto on Thursday evening to remember Danielle Moore, a much-loved 24-year-old who was among the 18 Canadians killed in Sunday's Ethiopian Airlines crash. "She is really an angel," said Moore's mother, addressing the crowd. 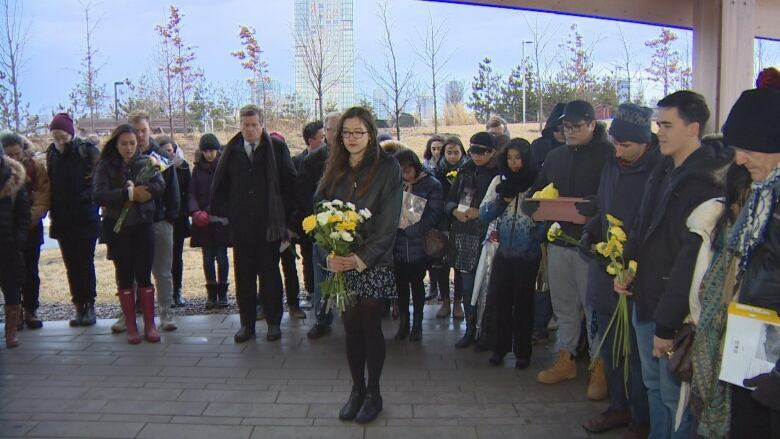 People lay white and yellow flowers to signify grief and friendship, and sang "Let It Be" — a tribute to Moore's love of singing. Toronto's event was one of at least 14 similar rituals planned around Canada, plus others in Mexico, Australia, New Zealand and Zambia. "It just goes to show how amazing my sister was," said David Moore, Danielle's younger brother. "Every community that she went to, people would gather around her and she would give back so much." Moore, an environmental and human rights activist, was on her way to a UN Environment Assembly in Kenya when the flight went down. A total of 157 people from 35 countries died when a Boeing 737 Max 8 plane bound for Nairobi crashed shortly after takeoff from the Ethiopian capital of Addis Ababa. Moore was a "strong, independent leader that took no BS from anyone," said David with a smile. "She lived her own life, always looking out for the little guy...and always looking out for these big things: Indigenous rights, the environment, climate change." Originally from Toronto, Moore was living in Winnipeg and had studied Marine Biology at Dalhousie University. "You can tell she has made a difference, a significant difference in this world," said David Moore, who called Danielle "a doer." People around the world stepped up to arrange the events on Thursday, said one of the organizers, Olivia Bochenek — a reflection of Moore's impact and "how loved she really was." "Danielle Moore was one of the most incredible people many of us have ever met," said the event page on Facebook. As his older sister, Danielle was his "leader," said David Moore, who was always following in her footsteps. In the last couple of days, "I've sort of been at a loss, not really knowing what to do," he said. "Danielle would have been the perfect person" to ask how to deal with this. The Toronto ceremony was by the waterfront at Inukshuk Park on Thursday evening. All of Thursday's ceremonies were set to be by bodies of water, Bochenek said, because of Moore's strong connection with water and the ocean. "She was a marine biology student," said Bochenek, who became friends with Moore when they both lived in Halifax. "So many memories I have with her . . . are by the ocean, or by lakes, or in [the] field doing work by bodies of water." "She was such a caring person and had such strong beliefs around what kind of world we deserved to live in," said Bochenek, who discussed Moore's passion for combating climate change. 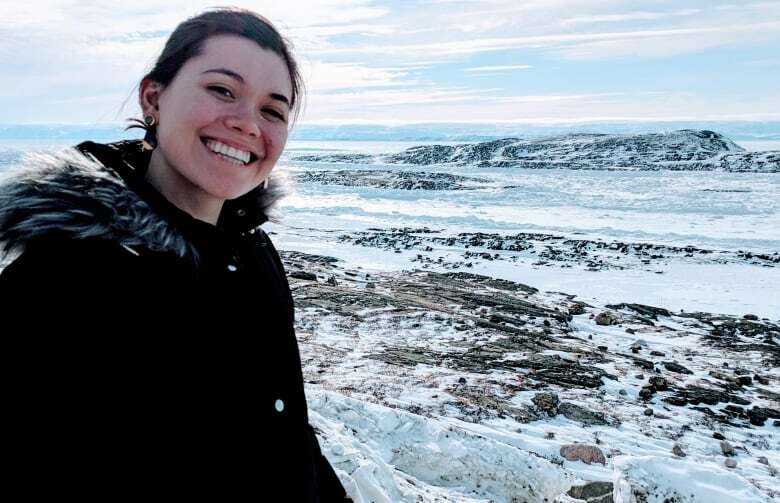 "All her beliefs were followed up by action," she said, whether it be through working with environmental groups, Indigenous youth, students groups, or in the field. David Moore said they want to carry on his sister's passions for the environment and Indigenous rights. He's started looking for ways he can make a difference in his own communities, Moore said. 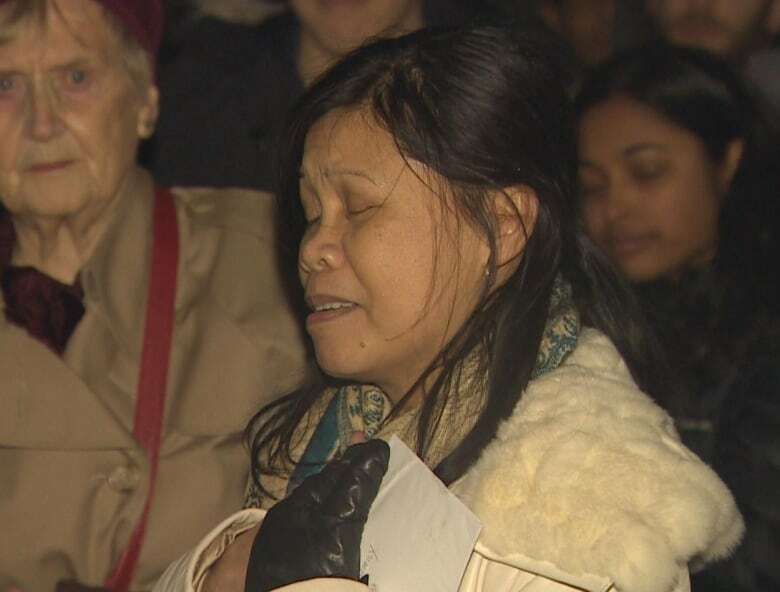 Danielle's mother, in tears during parts of the ceremony, said she keeps thinking about her daughter's final few minutes. She recounted Danielle's valedictorian speech: '"You only live once, and what are you going to do with it? So be free,"' said her mother, who wants Danielle's life and memory to go on. "We lost so many incredible people [in] that crash," she said, She was amazed by how much her daughter had done in her short life. "From my daughter to you, I love you all. And thank you so much." Around the world, the events were set to include a reading of Mary Oliver's poem "When Death Comes" and close with some of Moore's favourite songs. "Danielle loved to sing and was a beautiful singer," said Bochenek, adding that Moore often sang at parties and open mic nights. 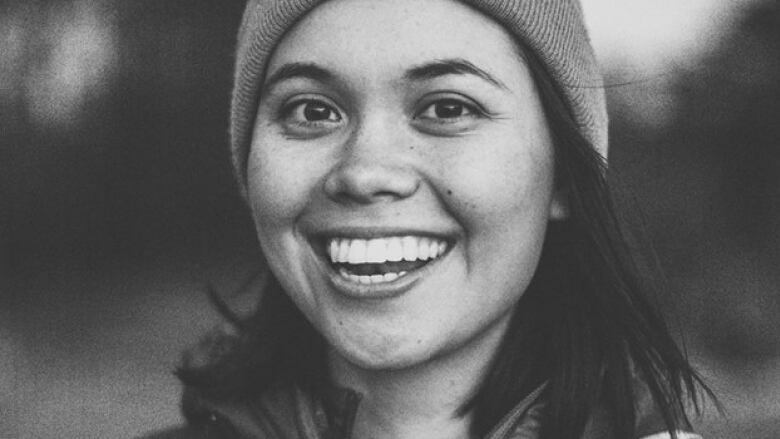 Ty Bryant, who went to Dalhousie's College of Sustainability with Moore, called her a "bright, shining light in the community" and a great friend. "She was just always an inspiration for me and one of the reasons why I want to get more involved in my community and . . . take action in terms of climate change and awareness," said Bryant. "She was a huge advocate for that." Attendees were also asked to bring photos, sacred stones and other special items that remind them of the young woman. Participants were also set to build a nature-based art tribute to Moore, placing flowers and other natural objects as they share special memories and thoughts.